If, like us, you are cheese-and-carb lover, then pão de queijo may be one of the world’s most perfect foods. We’re getting pretty good at making it in the ETW Kitchen, despite some poor trial runs at the beginning. But now in Brazil, we were looking forward to sampling the many varieties of the Brazilian snack. Sadly, we’ve found Bahia quite lacking in pães, originally a speciality from the state of Minas Gerais. 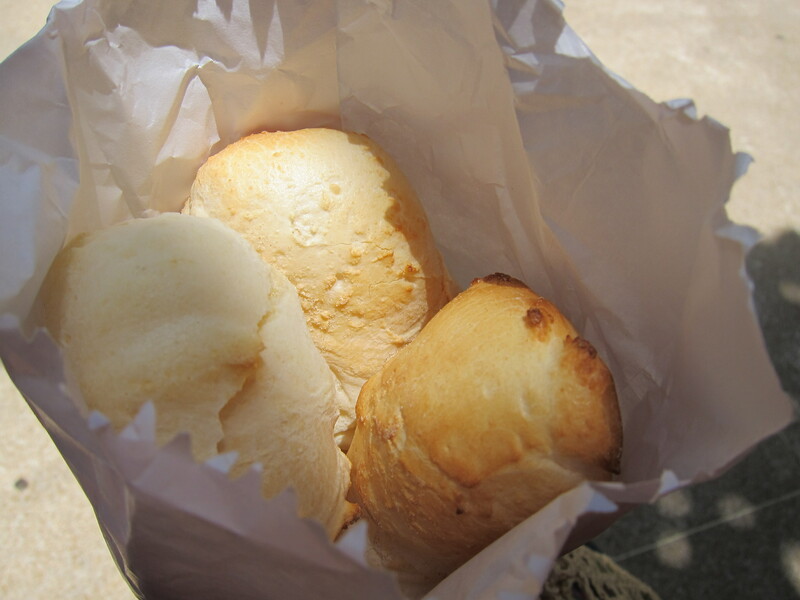 We encountered pães a few times in Salvador, at little snack counters mostly, and sampled a particularly foul version at a chain dedicated to Pao de Queijo (which we shall not name). Feeling a little disheartened by our pão de queijo experience in Salavdor, we were looing forward to getting to São Paulo to see if the pickings were any better. What little flavor explosions lie undiscovered inside that basket? And there, like a shining beacon a few blocks down from Avenida Paulista, Pão de Queijo Haddock Lobo came to our rescue. Admittedly, our encounter was not accidental: PQHL was recommended to us very highly as some of the best pães in São Paulo, a city already famous for its vast and varied food. The storefront – like any good pão de queijo shop worth its weight in cheesy bread – is just a small walk-up counter, with freshly-made pães kept in a covered wicker basket. Fun for us, as this lent an air of mystery to the proceedings. Right there in front of us, but what did they look like? At R$4 each – a little pricey – how big were they? How many should we order? Of course, we could have saved ourself the trouble but just asking the friendly cashier, but boy if that does take all the fun out of it. Finally, 4 pães, 2 apiece. Decision made. And a brigadeiro – a truffle-like chocolate and caramel dessert covered in chocolate sprinkles – for dessert. Conclusion? Absolutely worth the special trip. Since the lone bench at Haddock Lobo was occupied, we enjoyed our pães al fresco. They were astoundingly large, much bigger than the typical mini specimens were have encoutnered in the USA and Brazil. And despite our after-lunch arrival, they were still piping hot and fresh. Overall, easily some of the best pães we had ever had – if not the best – they were completely crispy on the outside and cheesy on the inside, with a great cheese flavor that managed to complement, as opposed to fight with or overpower, the bread. 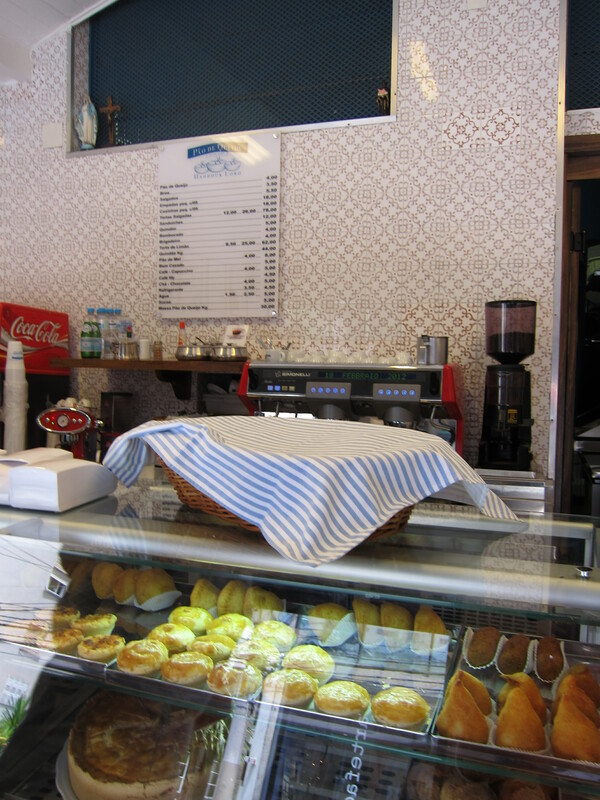 All in all, ETW heartily recommends Pão de Queijo Haddock Lobo for great pão de queijo in Sampa!